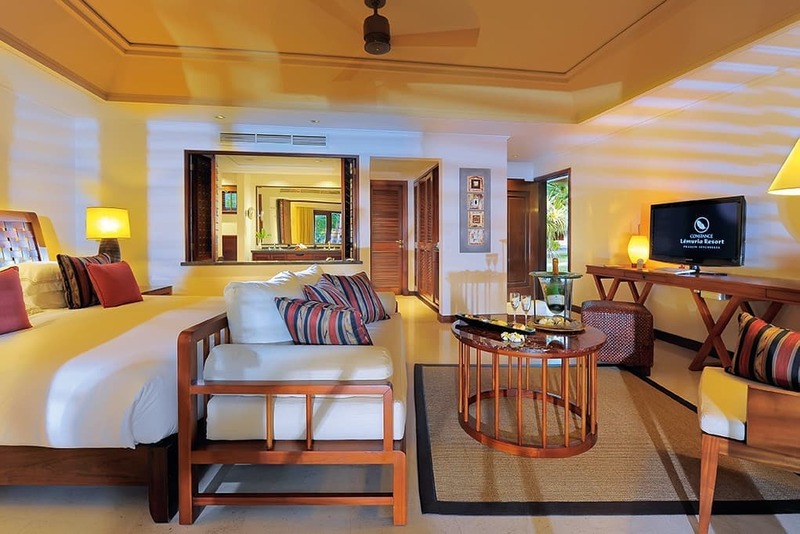 Exquisite beaches, clear topaz water, lush vegetation and big boulders; choose from one of the 88 Junior Suites, 8 Senior Suites, 8 Villas or the exclusive Presidential Villa at Constance Lemuria. 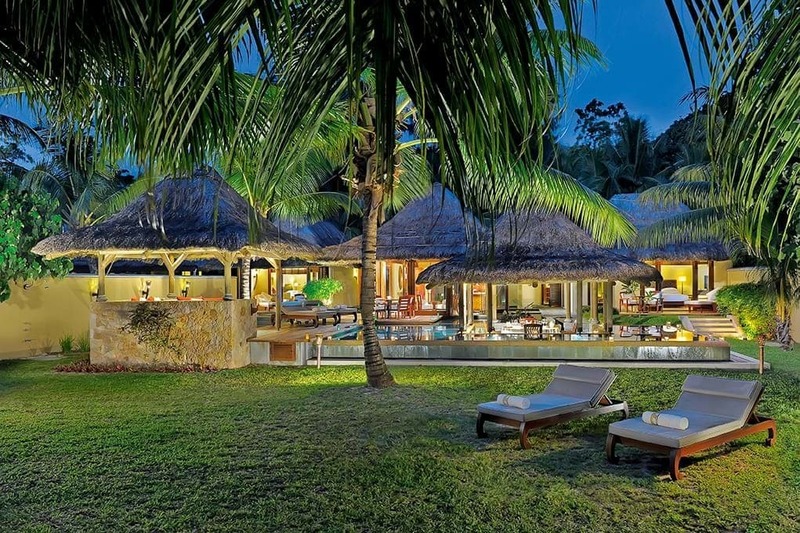 To create a cocoon of luxury amidst vibrant nature, materials such as wood, stone, pink granite, marble and thatched palm has been beautifully used to create a modern yet warm feel at Constance Lémuria. 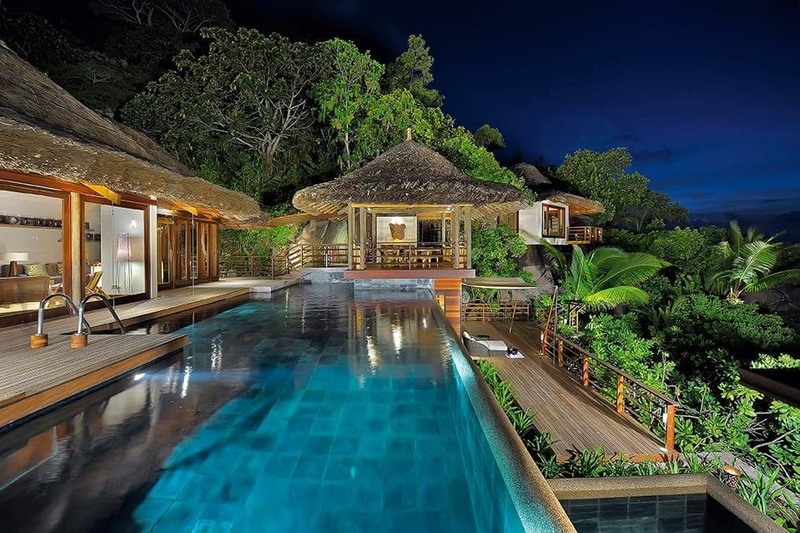 All suites and Villas which are endowed with exclusive view are luxuriously designed to offer complete comfort. While Seychellois’ flavours can be savoured in all the restaurants and bars of the hotel; the warmth can be felt in all the suites and villas. All Suites and Villas which are endowed with exclusive view are luxuriously designed to offer complete comfort. Each Junior Suite measuring 52 m2 offers: Air-conditioning, tea and coffee facilities, minibar, satellite TV with a wide range of films and music/DVD player, Mac mini (iPod connection, CD &DVD), free high-speed internet connection, individual safe, telephone answering machine, hairdryer, 24 hour room service, choice of pillows on arrival from our special pillow menu. Each Senior Suite measuring 115 m2 including living room offers: air-conditioning, tea and coffee facilities, minibar, satellite TV with a wide range of films and music/DVD player, Mac mini (iPod connection, CD &DVD), free high-speed internet connection, 24 Hours Room service, a bath tub with whirlpool in the master bathroom, separate lounge with shower/WC and a double size terrace/balcony. Each Villa measuring 725 m2 offers: Air-conditioning, bathrooms with separate bath and shower/open air bath and shower room, personal relaxation and massage pavilion, private chef service or in-villa barbeque available on request, satellite TV with films and music/DVD/ Sony PlayStation (on request), Mac mini (iPod connection, CD &DVD), Free internet access. The Presidential Villa measuring 1250 m2 offers:Personal relaxation and massage pavilion, fully equipped office, Air-conditioning, bathrooms with separate bath and shower, satellite TV with a wide range of films and music/DVD, Sony Playstation (on request),minibar, safe, Mac mini (iPod connection, CD &DVD), free internet access.